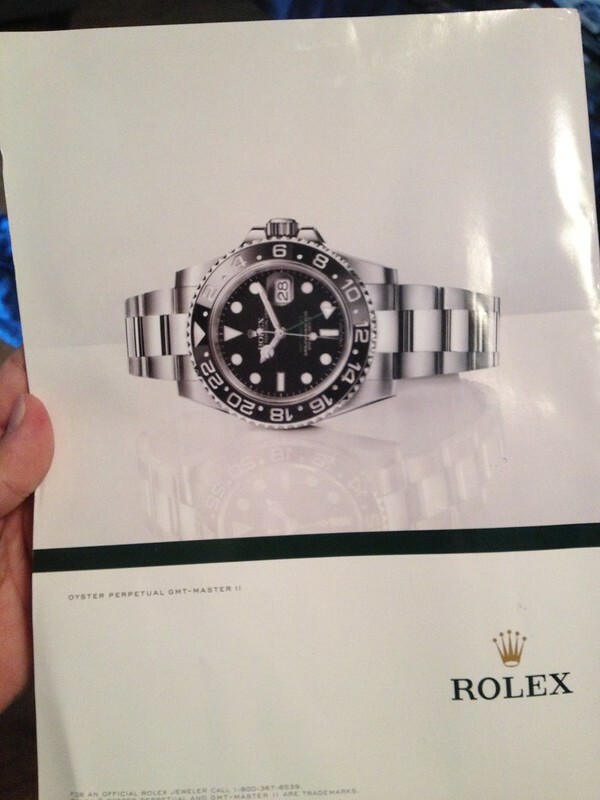 Not a Rolex ad per se but it's in there. Advert for Duckhead Clothing Company. At their website you can expand the photo and see it's a Sub. An oldie but goodie, with the anchor to!! I'm keeping a look out in WatchTime magazine for any new EXPII ads. Where did you find that advert? Nice! Hadn't seen that one before! Ok, I can't remember the exact order of these pictures. Howvever, I saw this advertisement in the Kingdom magazine where I posted the pictures of Arnold Palmer's 116713LN in another thread. Cause of their watches or their swing!! just saw this on my Frontier airlines flight while watching the Open Championship.